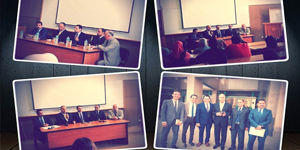 Within the framework of the endeavours made by the faculty of Legal Studies and International Relations to raise awareness of legal issues among PUA students, a seminar was held by the faculty of Legal Studies and International Relations in coordination with the faculty of Physical Therapy on “The Legal Liability of Physiotherapist”. The seminar was held on Tuesday 23/10/2018, in the presence of Prof. Hamam Zahran, the Dean of the Faculty of Legal Studies and International Relations; Prof. Awny Rahmy, the Dean of the faculty of Physical Therapy; Counsellor. Ahmed Shaltout, the Vice President of the Court of Cassation; Counsellor. 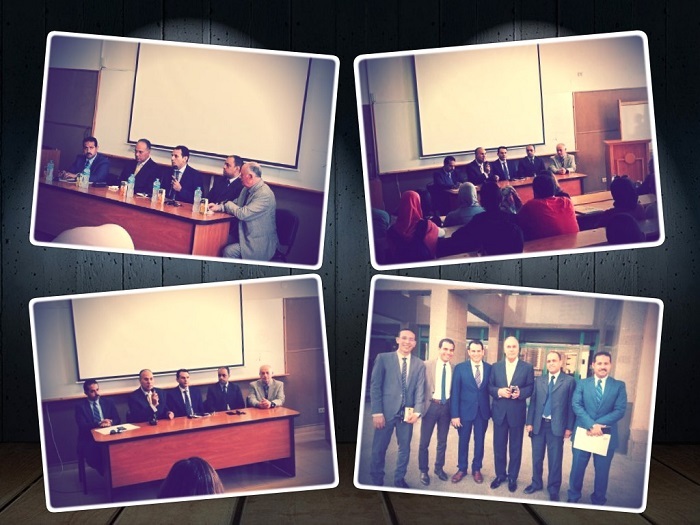 Amr Abdel Wareth, the District Attorney of the Administrative Prosecution Authority in Alexandria; Prof. Alaa Abd Rabou, the Head of the Department of Criminal Law at the faculty of Law and Prof. Mohamed Badawy who teaches Civil Law at the faculty of Law. At the beginning of the seminar, Prof. Awny Rahmy gave a word to welcome the attendees. Then, Counsellor. Ahmed Shaltout took the floor and began talking about the legal procedures could be taken against physiotherapists for medical malpractice or negligence and the criminal penalties of these conducts. This was followed by the word of Prof. Alaa Abd Rabou where he apprised the attendees of what is stipulated by the provisions of medical malpractice, especially on part of physiotherapists under the Egyptian Panel Code as well as the new criminal laws on the legal liability of the physiotherapist. Counsellor. Amr Abdel Wareth, also introduced the attendees to the disciplinary measures could be taken against the physiotherapist in case of neglecting their professional duties. The final speaker at the seminar was Prof. Mohamed Badawy who spoke about the civil liability of the physiotherapist. The coordination of the seminar was managed by Dr. Rania Hassan, the student activities leader at the faculty of Physical Therapy and Mr. Abou Bakr Sarhan, the student activities leader at the faculty of Legal Studies and International Relations.